AUSSIE Rules football and acting may have more in common than the two industries colliding on Channel 10 television show Playing for Keeps, which follows the private lives of fictional AFL team the Southern Jets Football Club. Actor Ethan Panizza, who played two WAFL seasons for Claremont Football Club, said his dad, WAFL Hall of Fame recipient Darrell Panizza, gave footy players the best motivational speeches he had ever heard. “I saw how he could move people to feel a certain way to get them from a lull to high straight away,” Panizza said. Panizza was driven to follow in his father’s football footsteps and achieved his goal in 2013/2014 before realising his real dream was to pursue a career in acting. “All I’ve ever wanted to do was make dad proud of me and I saw I could do that in playing football,” he said. “When I made it there, it was the best thing ever. Then I went and ripped my hamstring off the bone when I was playing for Claremont and missed six weeks, so I decided to do an acting class and it just tipped gasoline on the small fire that was inside of me. Panizza moved to Sydney where he studied at The Australian Film and Television Academy before going to LA, which is where he was when his agent told him about Playing for Keeps. 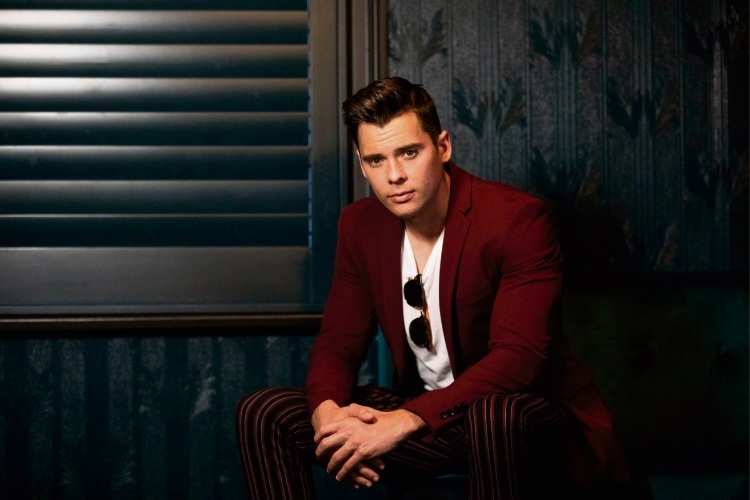 “I sent my audition tape and was sitting at Sushi Train when I heard I’d got a call back and was in Australia in four days,” he said. Panizza plays centre half back Rusty O’Reilly for the Southern Jets who was forced to “come out” to the media to stop a rumour mill in hyper-drive with a scandal surrounding Jack’s death. He said it was an honour to play the gay character in the world of AFL, which is something that had not been done before. “When I looked at Rusty, I didn’t necessarily prepare to play a gay man but more a character with a really complicated story,” he said. “No one has ever come out in the AFL and statistically speaking there must be some gay men in there. Playing for Keeps screens Wednesday nights.